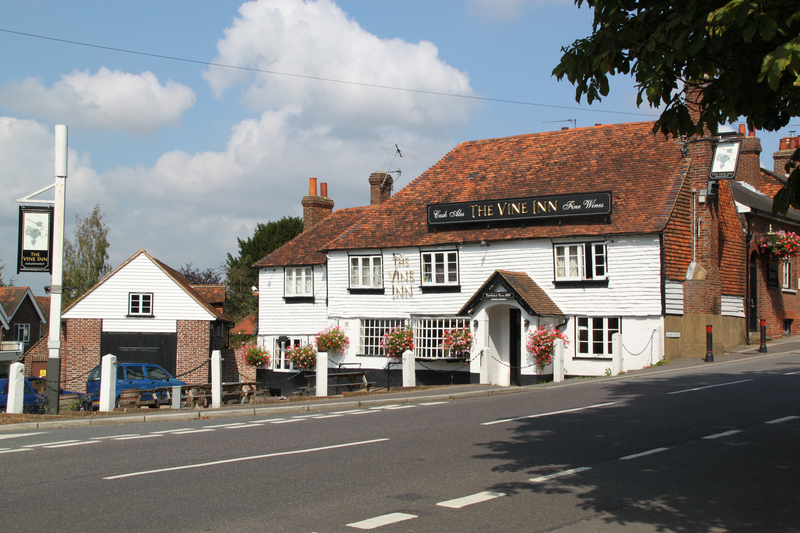 The Vine has stood at the bottom of the High Street, facing onto the Plain, since it was built in the early 17th century as a coaching inn. In the 18th century a coach house and stables were built on the yard along the North Road side of the inn. Then, in 1874, the Assembly Room, incorporating a dining room and a kitchen, were added at the rear. An existing room and an old cottage were demolished to make way for the new building. In the 19th century the Vine had leaded light windows but these have since been replaced. The Vine has had many licensees over the years. The earliest we know of was Thomas Tolhurst in 1734. The 1851 census shows the licensed victualler was William Knights who lived there with his wife, Ann. By the 1861 census James Hayward kept the Vine. He held it for a good number of years and when he died there in 1873 he was buried in Goudhurst churchyard. The 1881 census shows James Thurgood and his wife, Katherine, living there with their two young daughters, Alice, 14 and Annie, 10. Mr Henry Osborne is shown on the same census living at 4 Hunts Lane, directly behind The Vine, and employed as an Ostler. By the 1901 census John and Jessie Barrow were there, followed in 1910 by William Voice. Finally, the 1911 census shows Andrew Grove in residence. Since then a number of licensees have come and gone, Mr Ticehurst, the Popplewells, the Denches, the Bucknells and the Wells to name but a few. 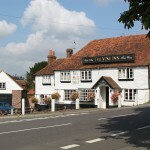 As with most of the pubs in Goudhurst, the Vine is reputed to have been involved in the smuggling trade. Another noteworthy event for The Vine is that the inaugural meeting of the Hop Marketing Board was held in its rooms in 1932. In the 1940s Mr L B Wells was proprietor of the Vine, and in the 1950s his wife, Eileen, took over. Today the Vine still occupies its prominent position at the bottom of the High Street where one can sit outside and watch the comings and goings in the village. Next to the Vine is Vine Cottage. Today it is a residential property made of two cottages combined. But, in 1851 it was a bakers and confectioners shop run by Mr Charles Osborne. In 1861 Charles was still working as a baker but now his sons, Edwin and Mark, were bakers too. However, the 1861 census shows Edwin as a dealer in fancy goods. Between them, the family occupied both parts of the property, Edwin and Mark living in one part and Charles, his wife and other children in the other. Mark died in 1861 and Charles died in 1864 leaving Edwin in his cottage with his wife Emma. Edwin carried on the business alone although he did have some help from his brother Henry. Many folk did not have their own ovens so Edwin would bake their bread, cakes and even cook their Sunday dinners for them. Henry would often be seen going around the village with a tray balanced on his head which he used to carry the uncooked items he had collected to the bakery. On Sundays, villagers would call at the bakery on their way home from church to collect their cooked dinners. This all came to an end when Edwin sadly hanged himself in the shop in 1899. The cottage and shop was taken over by a farm labourer, Mr Percy Gardiner, and his wife Ellen. Mrs Gardiner made and sold sweets as she had at their previous address at Ballards Hill. In 1912 Cecil Remnant moved to Goudhurst and a few years later, in 1918, he married Amy Gardiner. Amy took over the sweet shop from her parents and sold chocolates, confectionary, tobacco, cigarettes, minerals and Lyons ice cream while Cecil ran his fishmonger’s shop on the opposite side of the High Street. Amy died on 23rd January 1948 and in her will she left effects to the value of £1988.19s 5d. Her daughter, Hilda, ran the shop for a short while after Amy’s death. When the shop finally closed its doors, the property became solely residential. Today Vine Cottage is one residential property with two front doors, but only one door is used. Attached to Vine Cottage, and at the end of this range of buildings, is Weeks Bakery and Tearoom. The buildings date from the 16th century and, in the 1800s was divided into two dwellings. We know that in 1863 the property was in the hands of the Clemetson family who also owned and ran Hope Mill. We also know that it was the site of the old Methodist Chapel until 1836 when it was sold and a new chapel was built in North Road. In 1851 the property on the left, as seen from the High Street, was occupied by Thomas Dungey, his wife Elizabeth and their two young children, also named Thomas and Elizabeth. Thomas was a miller and journeyman. Next door to Thomas lived sixty four year old Sarah Hazelden with her thirty five year old daughter, Mary. Sarah was a corn dealer. By 1861, Charles Farley had moved into the lower cottage with his wife, Mary, and their three children. Charles was a horse dealer. The upper cottage had by now been taken over by Samuel Beeching. Samuel lived there with his wife Ann, their two children and a servant girl. He was described on the census as ‘a farmer of 20 acres employing one man and one boy‘. Ann ran a business as a corn dealer. She also sold coal which was stored in the cellar at Gazeebo across the street. When the adjoining lower cottage became available, Samuel took that over too and by 1871 he had started a bakery business there. By this time Samuel farmed 25 acres and employed two men and three boys. Samuel’s wife, Ann, died in 1884 and it appears he gave up the business soon after and moved to Manor Cottage, a little further up the High Street. In 1892 Samuel married his second wife, Ellen, who was considerably younger than him. Samuel died in 1902. Richard Balcombe took over the business in around 1884 advertising himself as “Baker, Corndealer and Confectioner” but he didn’t stay long. In 1888 Arthur E Davidson was trading as a “Baker, Corndealer and Confectioner” here and he was the subject of some court cases for offences under the Bread Act. He didn’t stay long either and by the time of the 1891 census Arthur Hill was listed at the property and his occupation was given as a baker. Arthur was living there with two servants. By 1901 Arthur’s wife Sarah was living there with him. They had one domestic servant and one shop assistant with them. 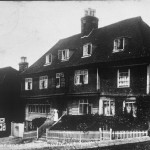 Arthur left the property in around 1907 and moved to Rainham. Richard Banks built up a thriving baker, pastry cook and confectioner business and owned his own horse drawn delivery van. In 1931 Mr Louis Weeks and his wife Dorothy bought the business giving it the name it is still known by today. After a few years Mrs Weeks’ brother, Bert (Albert) Brown, joined the business. Bert had been a steward on luxury liners before settling down in Goudhurst. Together they ran a very successful bakers, confectioners and outside catering business. They also later bought Mr Humphries grocery business in North Road changing the name to Weeks and Brown. Bert Brown was responsible for many celebration cakes in the village, not least the four tier cake he baked for the village Coronation celebrations in 1953. It is said he made the baking tin for the bottom tier from a dustbin. Sadly, Dorothy died in 1970 aged 78 years and Louis died in 1974 aged 83. Bert died suddenly in 1995 at the great age of 91 years. In 1973 the Weeks family sold the business to Peter Smith. He was already running a successful bakers and confectioners business with shops in the local area. Peter kept the Weeks name on the Goudhurst shop. However, sales eventually took a downturn in all the company’s shops and in 1996 Peter Smith’s business went into receivership. The bakery and tearoom was saved by a management buyout in February 1996. Peter died in April 2008. Today, it is still a bakery and tearoom and the name above the door is still Weeks. Crossing Hunts Lane, Pharmacy Cottage is the property next door to the Pharmacy. In the 1800s there were more cottages in this range but some have since been demolished. The 1841 census was unfortunately recorded in no particular order so it is difficult to use it as a reference for occupation of the properties in the area. However, it does appear that Samuel Larkin, his wife Elizabeth and their son James lived here in 1841 and 1851. Samuel was a master shoemaker and his son James was working in the trade too. By 1861 Samuel was 84 years old and a widow. He has taken a room with his neighbour, John Paine, at the property next door, nowadays known as The Pharmacy. The 1861 census tells us that Thomas Wenham had moved into the cottage with his daughter Caroline. Thomas was a master saddler. He was still at the cottage in 1871 but was shown on the census as a master saddle and harness maker and had reached the age of 78 years. He now had two children living with him. In 1874 the cottage was occupied by Mr Ebenezer Channing Murray, a bachelor and a photographer. He had moved here from Ramsgate where he worked with his father, Ebenezer, also a photographer. He built a photographic studio in the garden at the top of Hunts Lane. As well as taking photos of many Goudhurst residents, Mr Murray was responsible for taking the only known photograph of the Goudhurst windmill. Having built up a reasonable business in Goudhurst Ebenezer moved to new premises at Union Street, Maidstone before finally settling in Walthamstow. in 1884 he married Ellen Louisa Brackfield, the eldest daughter of Daniel Brackfield of Goudhurst. He died in December 1934. By the time the 1881 census was taken John Diprose had moved into the cottage with his wife Esther and their three children. John was a journeyman baker. The Diprose family were still there in 1891and John was now shown as the church Sexton and a baker. By 1901 he had become the Verger. The 1911 census shows the cottage occupied by George Judd, his wife Emma and their two young children, George and Dorothy. George was a railway signalman. Today this is the village pharmacy, it was not always so. The 1841 census shows John Paine living here with his son Edward. John ran a successful hairdressing business from the cottage. After a few years he also had a bootmaker working at his shop, the two trades being divided by a screen. He continued to live and work at the cottage until he died suddenly in 1879 aged 68 years. John Paine is known in Goudhurst as the man who built the quirky Paine’s Folly, which once stood on the site where the war memorial is today. Paine’s Folly was a very small house that John was building for his retirement. Unfortunately he never had enough money to complete the building work and never lived to reach retirement age. The 1881 census lists James Thomas Dann at the property. He was a master bootmaker who moved to Goudhurst from Maidstone. James had worked for F W Randall & Co. – Bootmaker, the well known shoe shop still in Gabriel’s Hill, Maidstone today. James and his two sons, James and Edward, moved to a cottage in Stoney Lane in 1872 and set up a bootmaking business there. His wife had stayed in their home in Maidstone to look after the business they owned there. When John Doust died in 1875, James bought his business at Church House. Later he also bought John Paine’s shop and that eventually became his main business premises in the village. 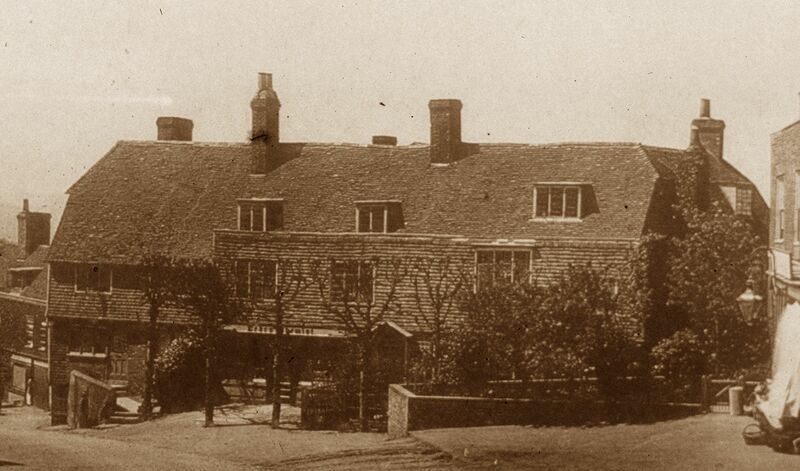 In around 1878 James returned to Maidstone and left his eldest son, also James Thomas, to run the business in Goudhurst. James ran the shop until 1886 when, for the princely sum of £20, he sold it to Benjamin Rayner. The 1891 census shows Benjamin Rayner, bootmaker, at the property with his wife Anne and their children. Benjamin is still on the census in 1901 and 1911. He continued to run the business until he died in January 1918 aged 68 years. It was Benjamin Rayner who had the box bay window fitted. When Benjamin died Sidney Jones took over the business for a few years. Then came a very different business. 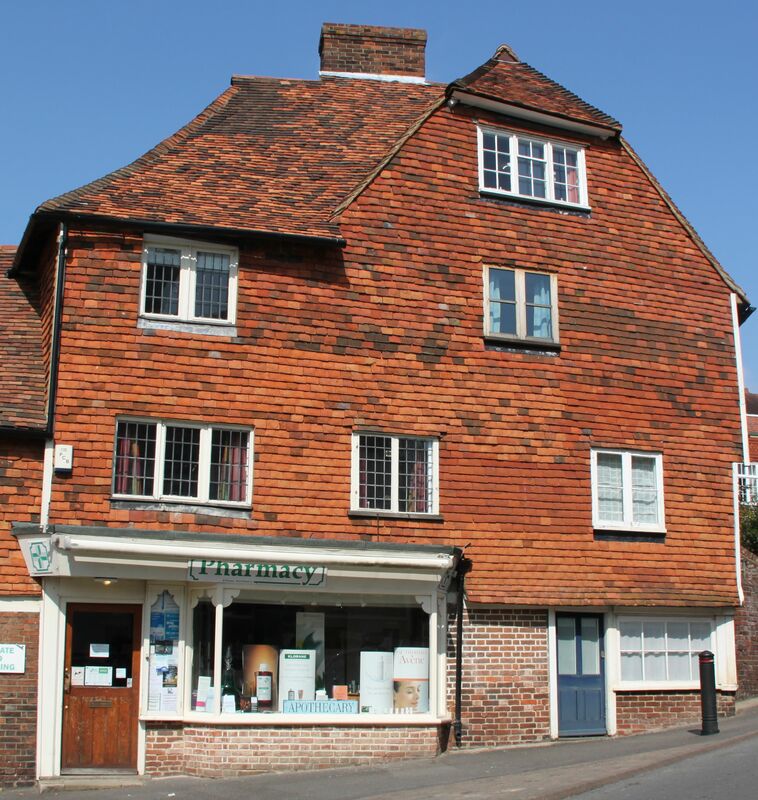 Mr Cecil Verrall had started his pharmacy business in Goudhurst on the ground level of the Old Tavern (Church House), where the garage is now. By 1935 he had moved to the property now known as The Pharmacy. Mr Verrall also had a pharmacy business in Marden. He was pharmacist in Goudhurst until 1949. In 1949 Robert G Rigg took over the pharmacy and stayed there for a good many years. He first appeared in the telephone directory and in the Parish magazine in 1949. The last telephone directory entry found for Mr Rigg in Goudhurst was in 1970. Since then there have been successive occupants, but the business has remained a pharmacy and chemist shop. On the 1841 census Thomas Standen, his wife Harriett and their young daughter Elizabeth are shown living in Stoney Lane. Thomas was a corn dealer. However, the 1851 census shows that he had moved his family to Manor Cottage. By the time of the 1861 census, Thomas and Harriett had left Goudhurst and were living with their daughter and son-in-law in Newington in the Borough of Lambeth. The 1861 census for Goudhurst shows that John Lovell, a carpenter, was living at Manor Cottage with his wife Martha and their three children. John didn’t stay here long. By 1871 he had moved to Clay Hill Cottages and he and Martha now had five children. Martha died in 1905 and John moved to Stoney Lane where he lived alone until he died in 1917 aged 84. In about 1870 James Boakes, a farm labourer, had moved into Manor Cottage with his wife Eliza and their two children. James and Eliza had married in 1859 and were living at Bell Cottage, North Road. By the time of the 1881 census, their eldest son, James, had left home but they still had three children and James’ father, Joseph, living with them. The 1891 census shows that James and Eliza had moved out and were now living in a cottage in Stoney Lane. As well as their two sons they also had their young granddaughter, Florence Woodhouse, living with them. By 1901 only Florence was living with them and James was now working as a postman. In 1909 Eliza died. Now a widower and alone, by 1911 James was in the Cranbrook Union Workhouse where he died in 1916 at the age of 76. The 1891 census shows that 67 year old Samuel Beeching, the farmer and former baker, was living at Manor Cottage with his sister Jane. Samuel’s first wife, Ann, had died in 1884 and in 1892 he married Ellen Martin in Hampshire. Ellen was 36 years younger than Samuel. In 1901 they were living together at Manor Cottage. He was 77 and she was 41 years of age. Samuel died on 10 June 1902 and Ellen stayed on at the cottage and managed the farm. The 1911 census shows her as a ‘dairy farmer’. Ellen’s unmarried sister Alice was living with her. C. Diprose, The Manor Cottage, High Street. Leaves Fairmeadow, Maidstone, 3 p.m.
TUNBRIDGE WELLS. Mondays and Fridays. Charles had moved in to Manor Cottage with his wife Muriel, formerly Muriel Nicklinson widow of the landlord at The Star and Eagle. They had married in 1927. Charlie had served in the 6th Inniskilling Dragoons in Germany during the 1914-1918 war. When the war ended he started his carrier business in Goudhurst. He kept his van in the barn at The Vine. Charlie wasn’t only the village carrier; he took on a number of other responsibilities. He was Chief Officer for the Goudhurst Fire Brigade until the station closed in 1948, he was a member of the Parish Council for many years and he was Treasurer of the Ex-Servicemen’s’ Club. Not only that, from 1922 to 1927 he was the Hon. Secretary of the Goudhurst United Football Club and in 1933 he had become the Club’s Chairman. Charlie Diprose carried on working until 1970 when he was knocked over by a bus while crossing the road near to the Vine Inn. Sadly, he died in hospital from the injuries he sustained. He was 71 years old. 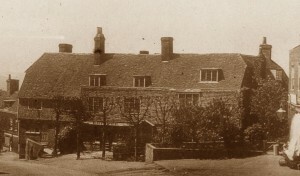 It is said that the Manor House was a school in the early 1800s. 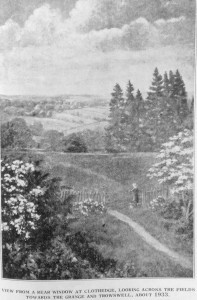 Reminiscences from a member of the Thurgood family reproduced in the Goudhurst Coronation Book say that the school was thought to have been kept by a Miss Birch. John F. Thurgood’s daughter Florence attended the school for a while. Another source says that John Allwork, brother of William Allwork, grocer and draper of Church Road, taught here. His classes were for boys only. We can say for certain that John Francis Thurgood, a merchant clerk, his wife Anne and their children moved from Gore Farm to the Manor House in around 1864 because the farm was being sold. They are shown at the property on the 1871 census. However, by the time of the 1881 census they had moved to Trottenden and then, in 1885, they moved to Ratcliffe House in North Road. The 1871 census also shows Thomas Francis, a professor of music, living at the Manor House with his wife Elizabeth and their two children. Mr Francis had moved to Goudhurst from Cranbrook, then by the time of the 1881 census he had returned to Cranbrook. The 1881 census shows that George Eedes had moved in to the Manor House with his wife and five children. 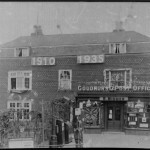 George was a druggist and chemist who had previously had his chemist shop at the Gazeebo in the High Street, and then in West Road. Over the years his family grew until on the 1891 census he has eight children. In 1917 George retired and moved to Groombridge. When George retired the Manor House was occupied by a series of doctors: Dr. Collingridge, Dr. Forge and Dr. Marshall. Then, in 1931, the house was sold to Mr Frank Simmons who came from Tunbridge Wells. Today the Manor House and Manor House Barn are two separate residential properties. The property is believed to have been built in the 1600s and it was once the site of the old Goudhurst Poorhouse. Later, during the time of the Peninsular War, it housed military officers while the troops were billeted at The Barracks (now Church House) next door. By 1841 John Nye was living at the property with his wife Mary, their daughter and four sons. John was a grocer and draper and employed two apprentices in his shop. He had previously had a business in Horsmonden and then moved to Goudhurst in the late 1830s. The 1851 census shows that John’s son Frederick was working in the shop too and then in 1861 Frederick and his brother Alfred were both working with their father together with an employee, William Reeve. By the time of the 1871 census Alfred had married and left home to start his own business as a gents’ outfitter in Tunbridge Wells. John’s wife Mary died in 1878 and is buried in Goudhurst churchyard. John retired from the business in around 1879 and letters from members of his family copied in the Goudhurst Coronation Book say that they believe he moved in with his son at Church Villa for a while. The 1881 census shows John staying at his son Alfred’s house at Mount Sion in Tunbridge Wells. Alfred was now a furniture dealer and commission agent. His brother Frederick had moved to Bromley and had his own grocery business there. John Nye’s last move was to Brenchley where he died in 1883. The 1881 census for Goudhurst shows that Albert Stephen Taylor had moved here from Marden and taken over the shop as a grocer and draper. Albert moved in with his wife Fannie and they had one apprentice lad lodging with them. Also lodging there with them was the Goudhurst Curate, Alfred Charles Highton. Alfred had studied in London before coming to Goudhurst. He returned to London before moving to Oxford in 1901. He died in Oxford in 1932. 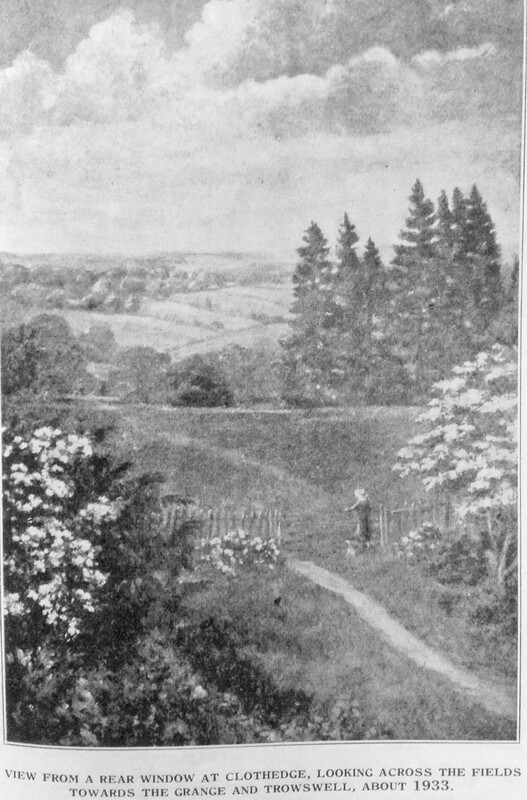 Albert Taylor did not stay in Goudhurst for very long. By 1891 he had moved to Deal where he had set up his gents’ outfitters business. Next came James Baker. He is shown on the 1891 census at the shop as a grocer and draper with his wife Bessie, their daughter, also Bessie and aged 1, and his sister Elizabeth. 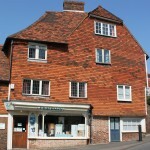 Before coming to Goudhurst James had learned his trade as a draper’s apprentice in Lewes. James spent a good many years at the shop. At this time the property was owned by William Rootes, father of William Edward (Billy) and Reginald (Reggie) Rootes, joint founders of the Rootes motor sales company. 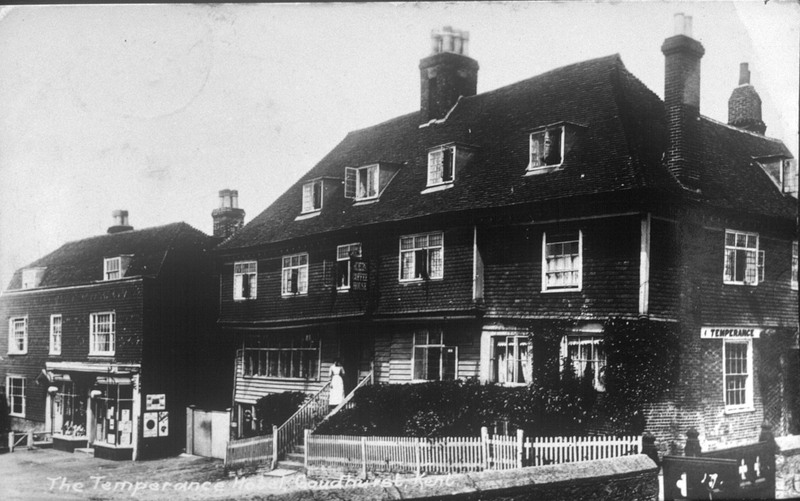 William and his family moved to Hawkhurst and, in March 1911, he sold the property to Rose Midmer. Rose was the postmistress at the post office and shop in North Road. In 1834 the property had been damaged as a result of a gunpowder explosion at a shop in North Road. Previous owners and tenants had refused to repair the shattered bay window at the front of the property because of the cost involved, so it had been boarded up for many years. Rose had the window repaired and also had the property extended at the back. 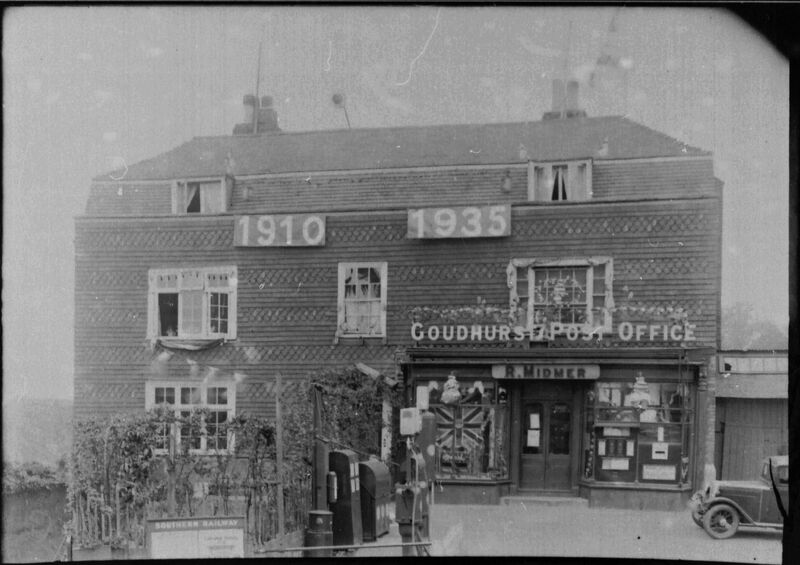 By 1915 she had moved the post office business from North Road to her new shop at Goudhurst House. Her shop was advertised as selling stationary and fancy goods. Rose Midmer ran the shop and post office until she died on 27 November 1943. The 1948 trade directory shows Mr W J Bennett had taken over the shop and post office at the property, but in later years the post office was moved from here to West Road and then in 2001 to Burgess Stores. 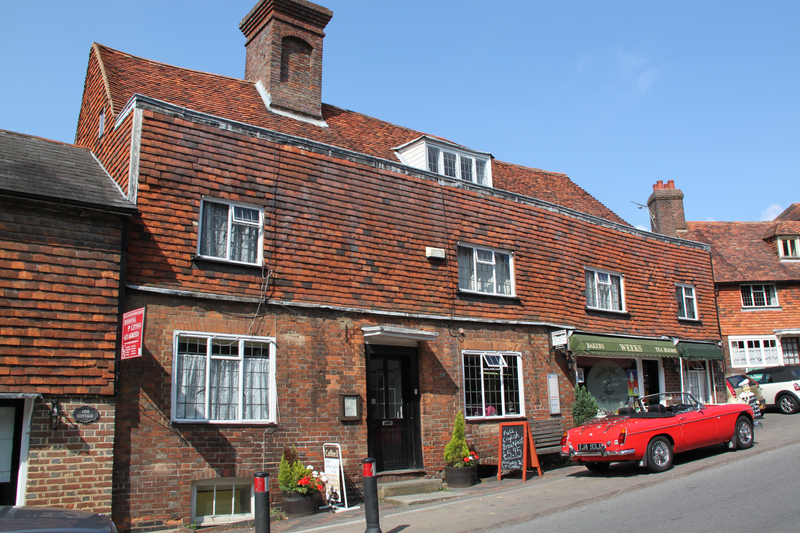 Today, Goudhurst House is the village newsagents and is once again home to the post office. Church House is easily identified at the top of the High Street by its double front doors of solid oak reached by a flight of steps from the street. The adjoining cottage has its own entrance from the High Street, but in the past it was also accessed from passages on the ground floor and the first floor of the larger house. The house has been used for many varied purposes over the years. It began life as an old Flemish Weavers’ Cloth Hall in the 15th and 16th centuries. The large room on the lower floor is said to have housed two looms. Much later, in 1747, Church House was used as a barracks by the newly formed Goudhurst Band of Militia, notorious for its defeat of the Hawkhurst Gang under its leader, William Sturt. The barracks was still in use during the Peninsular War, 1808-1814, and the troops were said to have been drilled on the Glebe Field. The use by the military gave the house its name at the time “The Old Barracks”. In the 1800s the upper rooms in the house were let. An old villager, Daniel Brackfield, was born in the Old Barracks in 1823 when his parents rented three rooms there. The 1851 census shows Jarvis Lambert and his family at Church House. They were probably living in the part that is now the cottage. Little more is known about the use of Church House until 1861 when the census shows James Couchman there with his wife Ann. James was 48 years old and Ann was 77 years old. Ann is shown as the attendant at the Reading Room. Ann and James lived in the right hand part of the property, probably the cottage, and the Reading Room, or library, was the large room on the left of the house. This is the room where the looms were once housed and where the muskets of the soldiers were hung on hooks along the walls. The rest of the house was being let out as tenements with the rooms under the roof given to poorer people of the village at low rents. One person known to give readings here was Edward Smart, a farmer living at Horden Farm. When people heard that Mr Smart was on his way, the Reading Room would be packed, such was his popularity. The 1871 census shows that John Doust, a boot and harness maker, was living at Church House with his wife Jane and their two daughters. 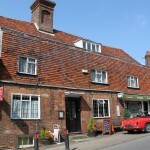 We know from records made by Alfred Tiffin in the Goudhurst Jubilee Book that John lived in the cottage. He used the room with a window that overlooked the High Street for his boot and harness business, and the room with a window that overlooked the churchyard he used for his “quack” chemist shop. Before moving to the High Street, John had lived and worked at Lidwells for around thirty years. John died in 1874 but Jane with her daughter, also Jane, stayed on at the cottage and traded as a tea dealer. They also had a boarder, William Button, staying with them. By 1881 John Perry, a butcher, was running his business from the old reading room. He was living at the house with his wife Matilda, their six children and his father in law, William Apps. John had moved to Goudhurst from Pudding Lane, Maidstone. By 1891 he had left Goudhurst and was working for Prudential Assurance in Wiltshire. In around 1885 Miss Frances Beatrice Blair, formerly of Finchcocks, bought Church House with the intention of opening a Temperance Hotel. She employed Messrs Davis and Leaney to carry out the refurbishment of the house. A coffee tavern and lodging house was opened and John Hobbs had moved in with his wife Charlotte and their family to manage it for Miss Blair. Charlotte died in 1894 and John moved from Goudhurst to Nutfield, Reigate. He died in Reigate Union Workhouse at Redhill in 1911 aged 67 years. An advertisement in the parish magazine in 1895 shows the new proprietor of the Temperance Hotel as E. Pomphret. It was at this time that William Rootes Snr. had his cycle workshop in the basement of Church House. By the 1901 census Alfred C Tindall, an accountant, and his wife Caroline had moved to Church House. Caroline was shown on the census as a “boarding/lodging house keeper”. Then, by 1911, Miss Elizabeth Wise had taken over as manager of the Hotel, but she didn’t stay long. By 1915 Mrs Mears was the new manager. Mr Mears worked at Coleman’s engineering shop at Trowswell Hill. When Mr Coleman moved his business to Canterbury, Mr Mears went with him taking Mrs Mears too. 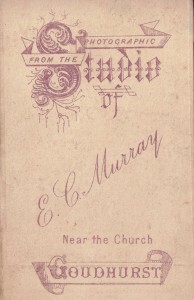 artist and used the cottage as her studio calling it Church Studio. One of her best pictures was said to be of a gipsy caravan in the field behind Cloth Edge in Church Road. It showed the gipsy family having their tea around a glowing campfire. Then, in April 1924, Mr Storer sold the main house to Mr William Henry Delves. All the while a lock up shop was still being let in the basement of the property. Mr Verrall, the chemist, had his shop here until he moved down the High Street to the Pharmacy. In 1925 Mrs Muriel Nicklinson, widow of the landlord at The Star and Eagle, moved here with her young family and ran the Tea Rooms. Her eldest daughter, Jessie, helped to serve the teas. Muriel left Church House when she married Charles Diprose and moved to Manor Cottage. In 1930, Church House was put up for sale by auction. At the time some villagers thought the house might be saved for the parish to use as a permanent asset and for parochial use. So, Father George Mendham, the local Catholic priest, acquired the property by private treaty in March 1931 and offered it to the parish on advantageous terms. But, there was not sufficient support to take up his offer so the parish council was obliged to decline. Father Mendham died in 1935. The house was put up for sale and in 1936 it was advertised for £850.00. The trade directory for 1935 shows Charles Lusted at Church House. Charles was a hairdresser and he worked there until, after cutting hair for 40 years, he retired in 1960. 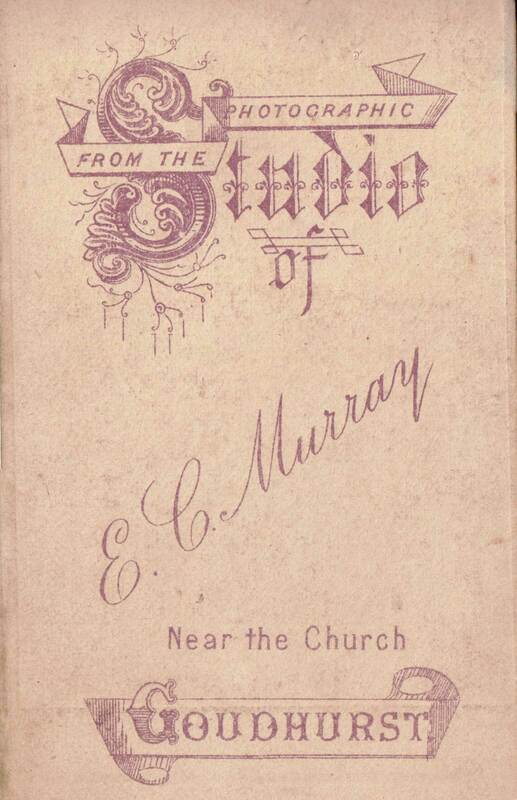 The same directory shows Miss Savage still living at Church Studio. In 1949 Church House and Cottage was put up for sale by private treaty. The sale details show that although there were two parts to the property, there was still access between the house and the cottage on the ground floor and the first floor. It also shows that the lock up shop is still let. Today Church House and Church Cottage are two separate private dwellings. Both have undergone internal refurbishment but the exteriors have remained unchanged.